ESSAyS TOWARD A SyMBOLIC OF MOTIVES, 1950–1955. This collection contains the work Burke planned to include in the third book in his trilogy, which. 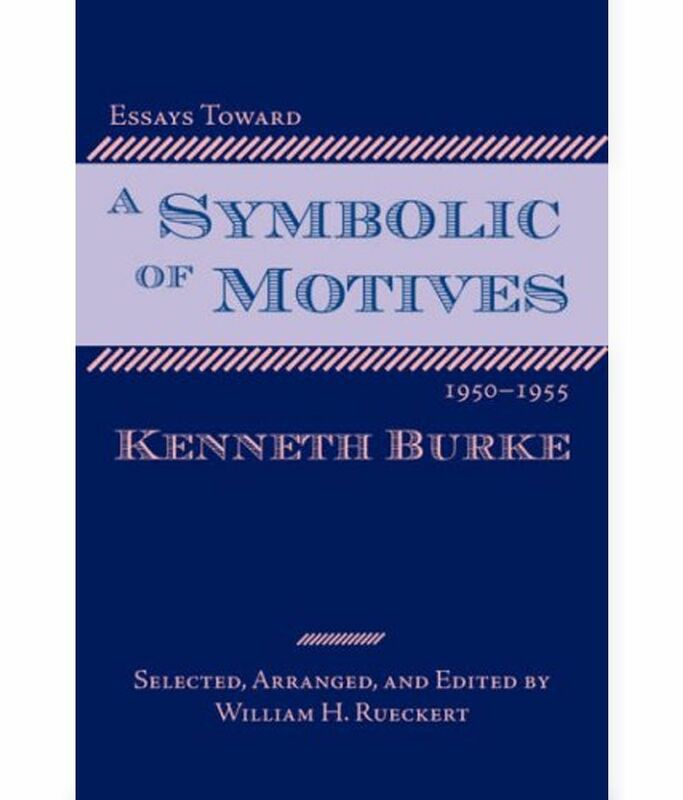 In August, 1959, an anxious William Rueckert wrote Kenneth Burke to ask, "When on earth is that perpetually 'forthcoming' A Symbolic of Motives forthcoming? Introduction We know of at least three versions of A Symbolic of Motives: there is ... here, which is now called Essays Toward A Symbolic of Motives, 1950–1955. Essays Toward a Symbolic of Motives, 1950–1955, edited by William H. Rueckert (2007). Equipment for Living: The Literary Reviews of Kenneth Burke,.